JUNEAU, Alaska, August 7, 2013 (ENS) – The U.S. government complied with the law when it approved Shell Oil’s plans for preventing and cleaning up an oil spill in the Arctic Ocean’s Chukchi and Beaufort seas, the U.S. District Court in Alaska ruled Monday. U.S. District Judge Ralph Beistline found the Bureau of Safety and Environmental Enforcement, BSEE, a division of the U.S. Department of the Interior, was not required to conduct an assessment under the National Environmental Policy Act and did not have to determine whether its approvals would impact federally protected species or their habitat. In 2012, Shell started drilling the first wells in the Alaskan Arctic in nearly two decades in the Beaufort and Chukchi Seas. 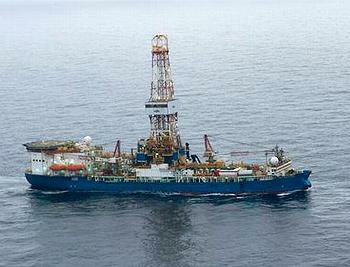 Shell’s goal for the 2012 summer drilling season was to confirm a major discovery of oil in commercially-viable quantities in the Alaskan Arctic Ocean. Judge Beistline’s ruling validates the government’s decision not to follow either the National Environmental Policy Act or the Endangered Species Act before it approved Shell’s plans. The decision comes in a lawsuit filed by a coalition of conservation organizations made up of the Alaska Wilderness League, Center for Biological Diversity, Greenpeace, National Audubon Society, Natural Resources Defense Council, Ocean Conservancy, Oceana, Pacific Environment, Resisting Environmental Destruction on Indigenous Lands, and Sierra Club. Earthjustice, a nonprofit environmental law firm, represented the organizations. Shell was unable to obtain certification of its containment vessel, the Arctic Challenger, on a timely basis and had difficulty with deployment of the Arctic Challenger’s containment dome. 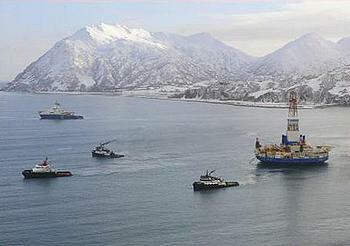 Marine transport issues hampered both of Shell’s drilling rigs, the Noble Discoverer and the Noble Kulluk, including the grounding of the Kulluk off Kodiak Island during a towing operation last December. “The ruling doesn’t change the fact that, as Shell’s misadventures last year showed, the Arctic Ocean is no place for rosy-eyed optimism. In fact, until and unless clean-up technology has been proven effective, reliable, and benign in the Arctic, it’s no place to drill at all,” the plaintiff groups said. Shell U.S. spokesman Curtis Smith told reporters that the ruling means the Bureau of Safety and Environmental Enforcement was thorough in its analysis of the company’s oil spill response plan. The groups say this court case is just a “first step” and they have no intention of abandoning their objections to Arctic drilling.